TURNERSVILLE, NJ – SolarWorks NJ, LLC, one of the oldest solar integrators in New Jersey, with proven expertise in designing, building, and managing small and large-scale renewable energy power projects, is proud to announce they contracted with Anchor Produce to install an 11.52 kW solar energy system. SolarWorks NJ will be installing a Power Plus System, a solar energy system coupled with an energy conservation device. The Power Plus System can reduce the electric load of the facility up to an additional 15%. 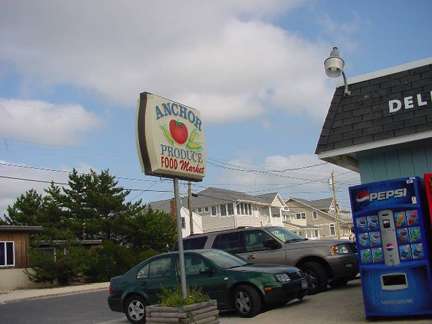 The solar energy system will be a non-penetrating, ballasted system that will cover the roof of Anchor Produce’s Long Beach Island store. The solar array will generate over 13,000 kilowatt hours annually, offsetting a portion of their electric usage and cost. Anchor Produce will receive a 30% Federal Energy Grant from the United States Treasury Department to help finance the system cost. Additionally, they will receive Solar Renewable Energy Credits or SRECs for producing renewable energy.